I almost broke my leg the other day. As I was going about my morning routine, I poured myself a cup of coffee and went to the living room where my two year old was playing. There is a small step down into the living room, and as I stepped down, I felt the hard shape of metal cars underneath my feet. Even as I realized what was happening, it was too late. I had shifted all my weight onto the foot that was stepping down, and the cars moved underneath me. As you can imagine, I fell and fell pretty hard, tossing my coffee all over the room. My son looked up at the commotion and said, “Oh no! Watch where you walk!” Something I repeatedly tell him as he runs around the house without watching where he is going. Unfortunately, events like this are not uncommon in our house. We step on cars, find them in the toilet, under furniture, in laundry baskets, in the vegetable drawer. They pretty much consume our house like little insects we can’t seem to exterminate. Instead of letting it be a constant source of irritation, we have come to terms with it and gather them up as we find them, tossing each in our son’s toy box in a half hearted attempt to contain them. 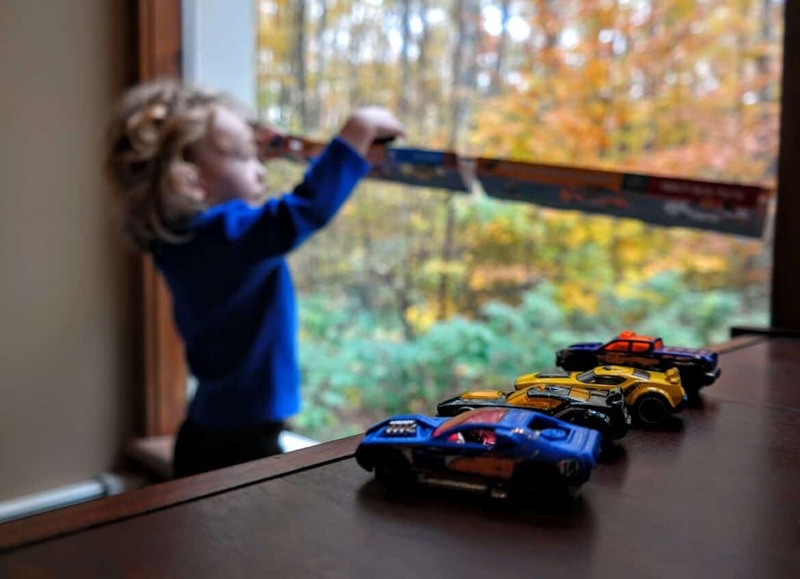 With the hundreds of toy cars filling our living spaces, I am always interested in finding new ways for my son to play and create projects to give some of these cars a purpose or at least something to occupy them so they aren’t all over my house…and threatening our lives. Here are some great ideas I have found and feel I need to share with other Moms. This is a simple but amazing idea that will keep your little car lover occupied for hours. Made from 100% recyclable paper, they fold into car tracks that fit matchbox sized cars. 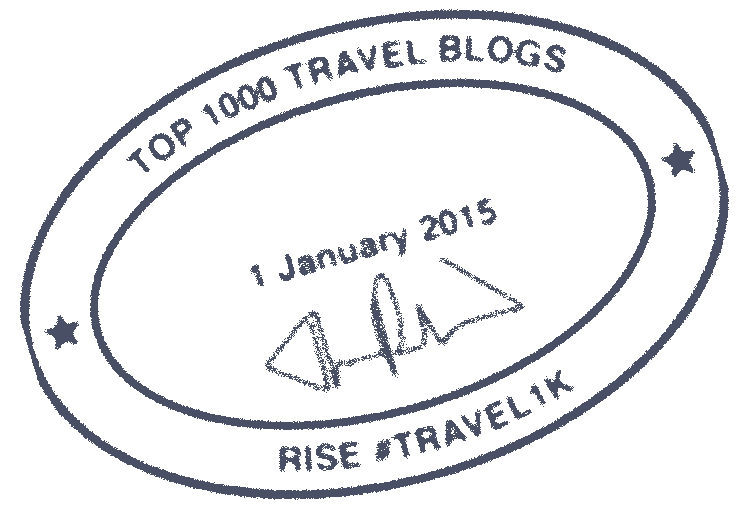 Easy command strips are included in the package and allow you to attach the tracks to the wall and remove them without damage. Kids can zip and zoom their cars along the Paper Trax keeping those little hands busy and out of trouble. Paper Trax even received the Dr. Toy’s Green Toy Award for its environmentally friendly materials. The box also turns into a bonus track to help cut down on packaging waste. I received a free sample of the Paper Trax, and I have strategically placed them all over my house to help me keep an eye on my son while I multitask. In the kitchen, I have them attached next to the counter where I can watch him as I cook or clean up. I have some attached in the laundry room so he can play while I fold laundry and near my desk when I need to work. Throughout the house, I move them around so he can do his number one favorite thing in the world, race his cars, and I can get something done. 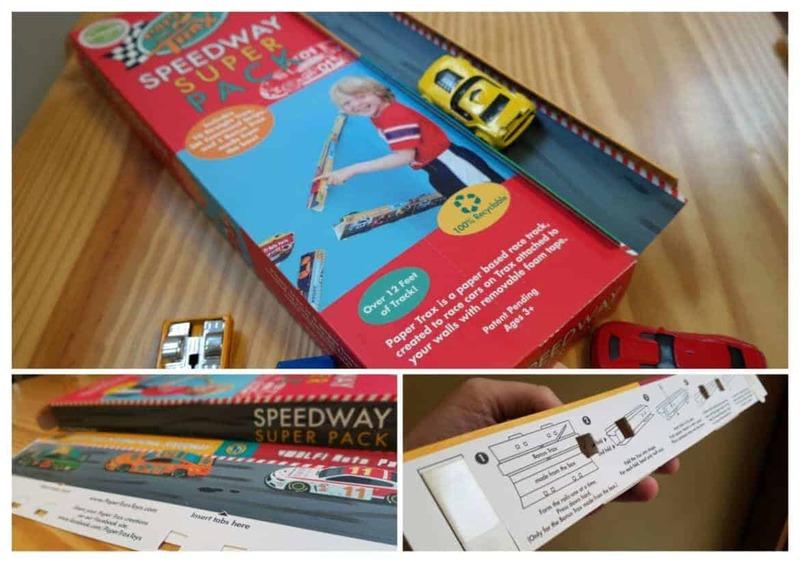 Now, there are Dino and Speedway editions to inspire your little one’s imagination as they act out their toy car getaways. These are a wonderful holiday gift idea for the kid who already has everything. Designed by a U.S. Coast Guard family, the idea was born when a father turned a cereal box into race car tracks for his eighteen month old son. Made by parents that know what it is like to live with toy car clutter, it is a convenient and creative way to encourage kids to play. 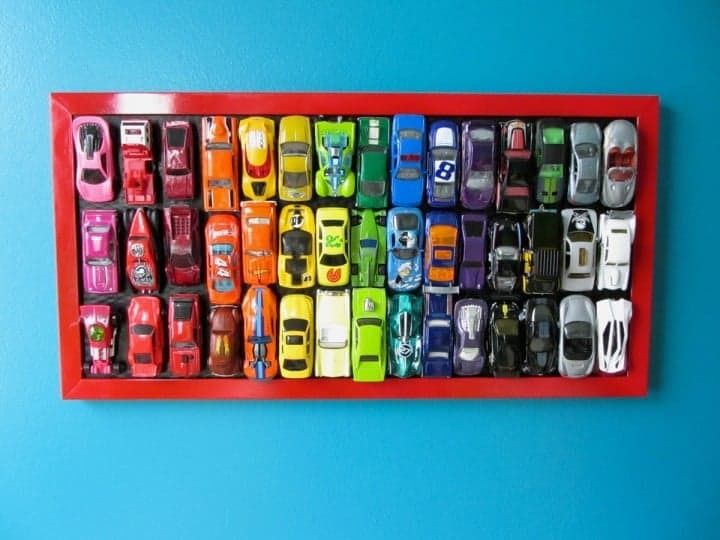 Take some of those hundreds of cars and make an easy art project you can put on display like this one from Imagine Our Life. Just glue some of those extra cars in a frame. It is a great piece to hang on the wall and decorate for your mini car enthusiast. Get some inspiration online and design other pieces. Glue cars to a picture frame and display a photo of your cutie surrounded by their favorite toy. You can also get a shadow box and easily display the cars inside the frame. 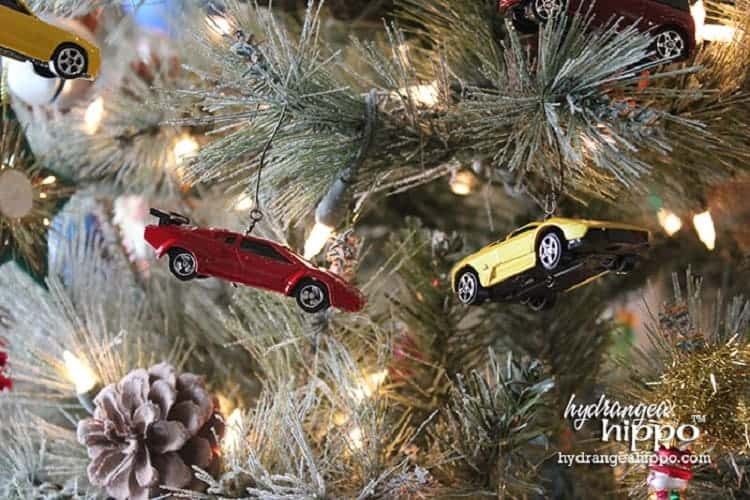 With the holidays approaching, turn those multiplying cars into ornaments for your Christmas tree. Check out this idea from Jennifer Priest for a tutorial on how to make a quick car ornament. You can spend the afternoon crafting race car ornaments for the holidays! Keeping up with the Souths came up with this clever idea to display all those toy cars with some semblance of organization. 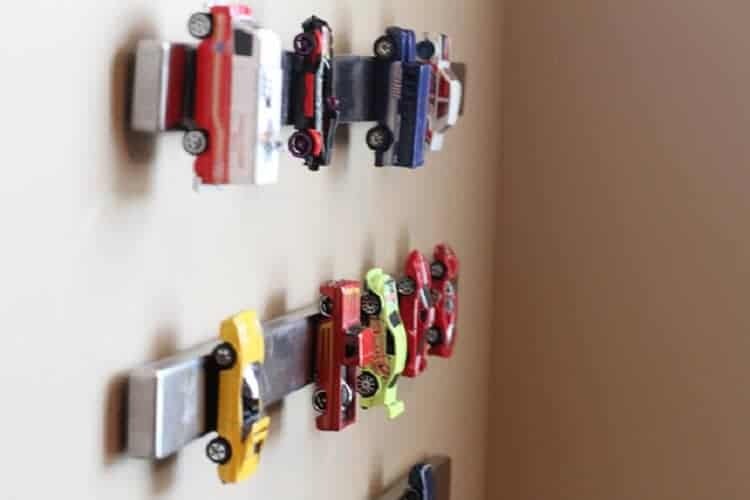 Using magnetic knife racks, they hung up the cars with just a quick toss. It is a great way to keep cars where your kids can see them and easily grab them for play. 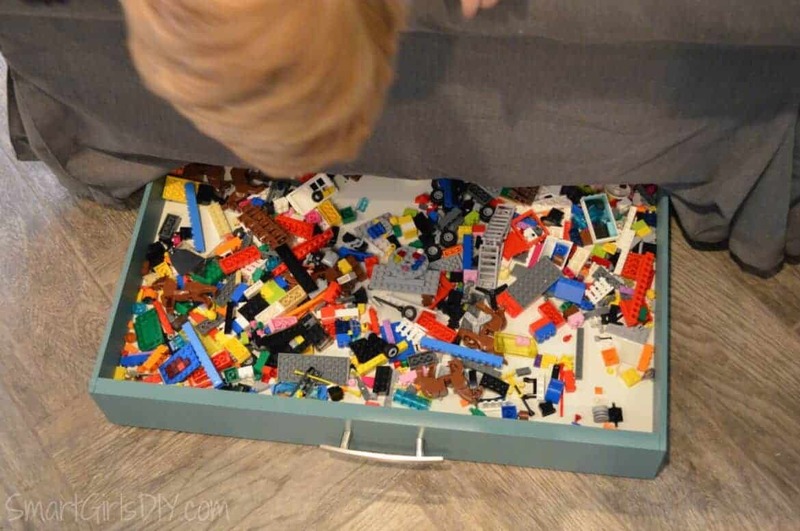 Take a tip from Smart Girls DIY and make this easy storage drawer that slides under your couch! Now, you can toss all those toys under the couch when company arrives. This opens a whole new storage area in a space you have probably never considered. Frugal Fun for Boys and Girls has instructions on how to make this fun parking garage. It might be easier to get the kiddies to put those cars away if they can make a game out of it. This easy DIY parking garage helps keep cars organized and out of the way. Recylart has a cute idea to make those cars into functional hooks so maybe the kids will hang up their coats and backups without being asked…maybe. It is a good way to use some of those cars lying around and help keep jackets and bags off the floor. 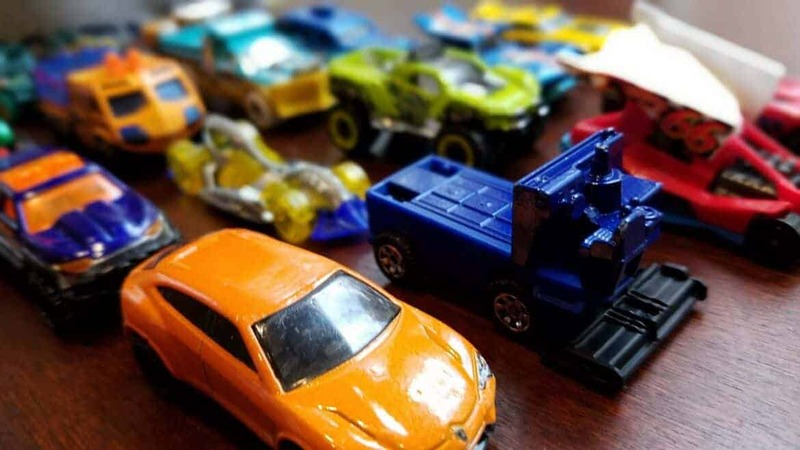 What ingenious toy car ideas do you have to share? Can Your Outdoor Gear Take a Beating…From a Bear?